Everyone loves an underdog, regardless of the sport, and football is no different with unlikely success stories capturng the support of neutrals across the world. At international level, there is always the chance that a smaller nation can produce a shock as they benefit from good luck or an inspired run. Shocks at club level are perhaps less frequent due to the gulf in financial strength that exists between the sides at the top of club football and those smaller clubs. However, it can still happen and here are seven times a football underdog produced a huge shock and enjoyed great success against all the odds. 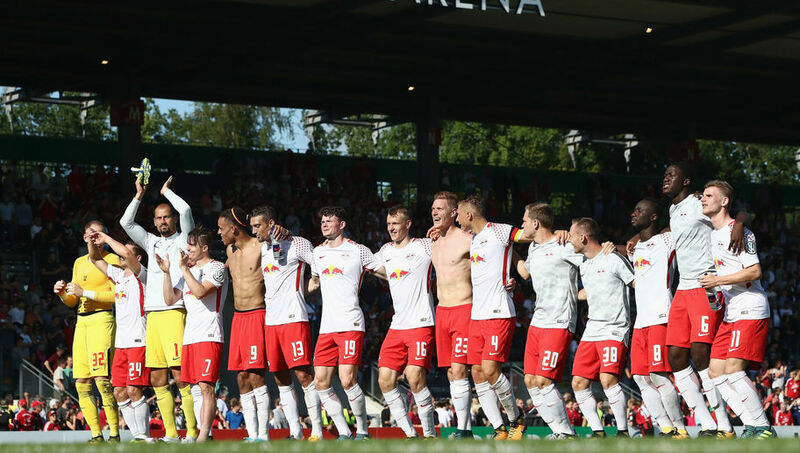 Just seven years after they were founded, RB Leipzig completed their rise through their ranks and made it to the Bundesliga ahead of the 2016/17 season. If this wasn’t impressive enough, even if Leipzig’s association with Red Bull made them hugely unpopular, they made a huge impression in the Bundesliga and finished second to secure a place in the Champions League for the coming season. Even if they didn’t win anything last season, to make it to the Champions League just seven years after being founded is an incredible achievement. Felix Magath might have been a bit of a comical figure during his time as Fulham’s manager, but he masterminded Wolfsburg’s shock Bundesliga triumph in the 2008/09 season. Edin Dzeko and Grafite scored twenty-six and twenty-eight league goals respectively, often set up by the twenty assists of Misimovic. Wolfsburg’s one and only Bundesliga was also the first time they had even finished in the top three, and a triumph unlikely to be repeated considering the recent dominance of Bayern Munich. Olivier Giroud proved his powers weren’t linked to his beard as his twenty-one Ligue 1 goals led Montpellier to a shock title triumph in the 2011/12 season. Up against the might of PSG and Eden Hazard’s Lille, Montpellier won their first and only Ligue 1 and just to emphasise the scale of their achievement, they’ve only made it into the top half twice since. To win the league with Giroud, John Utaka and Remy Cabella as your attacking options is no mean feat, and was an incredible achievement from manager René Girard. Wales might not have won Euro 2016, but their run to the semi-final eclipsed all expectations in their first ever European Championship. They finished top of their group, ahead of England, Russia and Slovakia, and beat Northern Ireland in the Round of 16 to reach the quarter finals. Up against the strongly fancied Belgium, Wales produced an incredible performance with Hal Robson-Kanu scoring the goal of his life as they overcame the Belgians 3-1. A defeat to eventual winners Portugal in the semi final certainly didn’t belittle their incredible achievement. Denmark weren’t even supposed to be at the European Championships in 1992, so for them to go on and win it was one of the great underdog stories. Entering the tournament after Yugoslavia’s disqualification, Denmark edged through the group stage as they knocked out France and England. A penalty shootout win over the Netherlands, featuring the might of Bergkamp, Van Basten and Rijkaard, took Denmark into the final where they beat Germany 2-0 to win their first European Championship. Greece’s triumph at Euro 2004 will live long in the memory of football fans as the country defied the odds to seal their first and only major title. Scraping through to the knockout stages on goals scored, Greece first beat France and then the Czech Republic 1-0 to reach the final against hosts Portugal. In standard Greece style, they won the final 1-0 as well to break the hearts of the home side and seal a memorable triumph. The greatest underdog story of them all was surely Leicester City’s remarkable Premier League triumph in the 2015/16 season. Having narrowly avoided relegation the season before, Leicester went into the campaign with odds of 5000/1 on them to be crowned Champions. With Jamie Vardy, Riyad Mahrez and N’Golo Kante leading the way, Leicester led the way for much of the season and held their nerve to seal the title and the biggest shock in Premier League history.